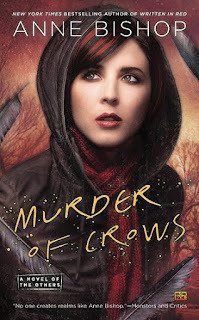 Having decided to pick a series to read and review for BYOB month for the Wicked Reads Blog, I'm not shy to say I chose Anne Bishop’s series. It's a great series that is enjoyable to read and fun. I like books that develop a whole new world for you to be in while you imagine the characters and build the chemistry. The Others have always kept themselves far from humans, but after they bring a blood prophet to the Courtyard where they live, they seem to be adapting to bring the bonds of human/Other relationships closer. Meg Corbyn escaped captivity and the Others took her in to be their human liaison. Blood prophets can see the future after making a cut on their skin. Every book brings us closer to the final chapter in the HFL movement and the wild terra indigene. Will humans become extinct? Amazing series. Four stars. 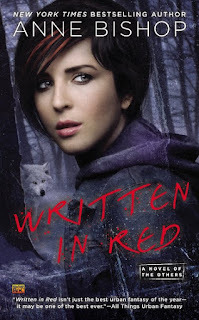 For reviews & more info, check out our Written in Red post. For reviews & more info, check out our Murder of Crows post. New York Times bestselling author Anne Bishop is the winner of the RT Book Reviews 2013 Career Achievement Award in Sci-Fi/Fantasy. She is also the winner of the William L. Crawford Memorial Fantasy Award for the Black Jewels Trilogy. 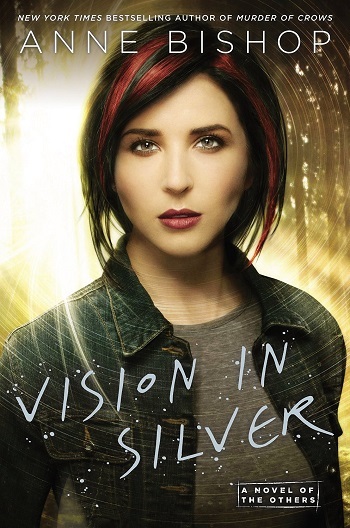 Her most recent novel is Vision in Silver, the third book in Anne’s urban fantasy series set in a re-imagined Earth. When she’s not communing with the Others, Anne enjoys gardening, reading, and music. Johanna reviewed her personal copy of Vision in Silver (The Others #3) by Anne Bishop for this post.